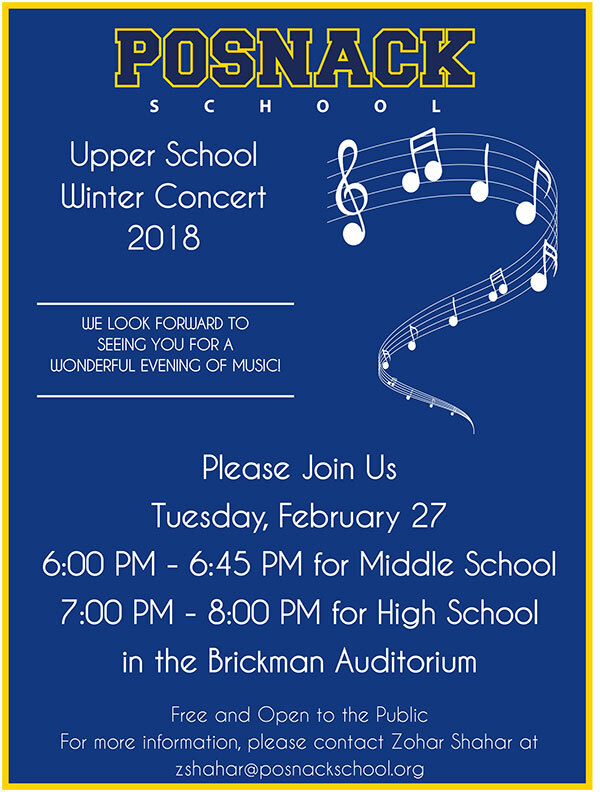 Please join us for a wonderful evening of music at our annual Upper School Winter Concert on Tuesday, February 27 in the Brickman Auditorium. Middle School students take the stage at 6:00 pm followed by the High School at 7:00 pm. The event is free and open to the public. Please contact Zohar Shahar at zshahar@posnackschool.org for more information. We look forward to welcoming you on Tuesday, February 27.